in the east there is the Rhine and the mountains of the Ardennes, Vosges and Jura. the weakness in this natural shield is the North European Plain. Ironically, despite having these geographic advantages, most of the pre-modern external threats came precisely through France’s natural barriers, with England, the Holy Roman Empire or Spain, having been existential threats to France in various moments of its history. In modern and contemporary times though France’s internal cohesion, military, political and economic power allowed it to more efficiently exploit its natural advantages and thus protect itself better. Which is why in the past two centuries the biggest external threat came only from the North European Plain. The French geopolitical strategy is obviously influenced by the country’s geography, but also by its history. However, it’s not so much its Medieval past that matters – like in Russia’s case for e.g. -, but rather its recent history, particularly the post-Napoleonic history. In the past 250 years France had two main enemies, both in close geographic proximity. The first was Great Britain, with whom prior to 1815 it shared the supremacy over the Atlantic Ocean and the domains beyond it. After 1815 though, along with Napoleon’s complete defeat, Britain became the world’s dominant naval power and consequently the main global power as well. Nevertheless, France still remained the main continental military power and over time it did manage to considerably expand its own colonial empire, albeit less than the British. And ironically, the position of relative inferiority in which France was thrown after 1815 was a major contributing factor to the Anglo-French rapprochement that took place particularly in the second half of the 19th century. The other factor – and the most important – was the rise of a new continental power: Germany. Austro-Hungarian Empire and eventually against France as well, which allowed it to unify most of the German states – which for hundreds of years had been divided – under its banner. Soon after, the German Empire took birth. But the war in 1871 was not relevant just because France lost the war, but also because it lost strategic territory to the Germans (Alsace and Lorraine), because its centuries-old strategy of keeping Germany divided had finally collapsed and because its continental military supremacy was seriously jeopardized. From that moment on France had an almost perpetual strategic problem, one which in many ways haunted it more than Britain. To deal with this problem, France used the same strategy twice, in neither case with great success. It chose to create a system of alliances with Britain and Russia so that in the eventuality of another war with Germany, Berlin would be forced to fight on two fronts simultaneously. On paper this system was brilliant, in reality though, it proved to be a disappointment. In the First World War this strategy almost failed. In the Second World War it did fail. So after the war the French changed their strategy. In part because of their mistrust of the Americans and to their commitments towards defending Europe against the Soviet Union, but also because of their lack of interest in, the back than fashionable concepts of “Federation”, “Confederation” and “The United State of Europe”, as well as out of nationalism, France pursued the concept of “economic interdependence”, through the means of a limited political and economical entity. More precisely, an alliance with its former enemy Germany, under the form of C.E.C.O. This alliance not only allowed the French to keep West Germany under a position of relative subordination and thus make sure it does not become a threat again, but it was also meant that in time to allow France to challenge the other superpowers, the United States and the Soviet Union. For the French the strategy was successful until around 1991, when Germany’s reunification occurred. From that point on, as the Germans slowly took back their central role in Europe, France eventually saw itself thrown in the same position of relative inferiority – mainly economic in nature – in which Germany was during the Cold War. And this is how we can characterize its position within the EU at the current moment. Still, despite this we cannot say that the strategy of “interdependence” has failed because in the end the alliance between France and Germany is still one of EU’s most important working principles. It may not be as the French initially planned it, but that doesn’t make it any less important. Perhaps this is why Paris has taken such an active role outside Europe, particularly in regard to Georgia, Libya, Mali, the Ivory Coast and to a lesser degree Syria too. There are obviously economic and geopolitical interests in these countries that need to be protected, but this may not be the only reason for which the French have tried to assume the leading role in Europe from a military perspective. Politically, taking the lead militarily – or trying to anyway – makes sense. Obviously, the act of leadership can only be done up to the point in which France’s interests do not come in contradiction with those of the United States. 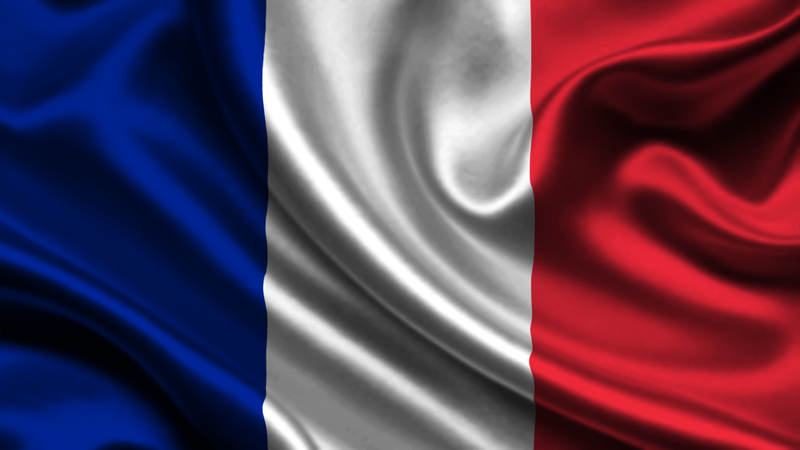 All in all, France’s geopolitical situation can be characterized by safety. Its former enemies are now allies and the United States watch closely over Europe’s evolution. So unlike a century ago, there are no more external threats. This situation sets the conditions for France to perhaps finally embark on making some much-needed internal reforms, which will no doubt encounter heavy resistance from its own population. Nationalism and socialism, both of which are deeply rooted in the French society, can hardly present the proper conditions for achieving Charles the Gaulle’s dream of a France able to obtain continental supremacy and eventually to challenge the global superpower.